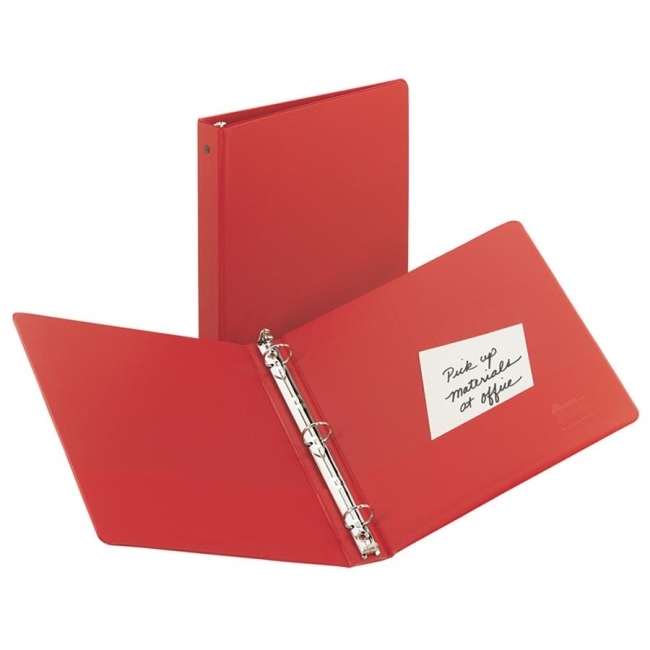 Light-use binder features round rings and two interior storage pockets for loose materials on both sides of untabbed divider. Round rings have a nonlocking mechanism. Binder also has vinyl inside front and back covers and holds 8-1/2" x 11" documents. Binder contains 42 percent recycled material.